"In the Dioceses of the United States, the practice of covering crosses and images throughout the church from this Sunday may be observed. Crosses remain covered until the end of the Celebration of the Lord's Passion on Good Friday, but images remain covered until the beginning of the Easter Vigil." – from the Roman Missal for the Fifth Sunday of Lent. We delve ever more deeply into our Lenten observance today, the beginning of what was traditionally known as Passiontide. The Church invites us to increase our fasting by veiling crosses and images of Jesus and the Saints. This is a "fasting for the eyes." So often we take these images for granted. They are supposed to be reminders of far greater realities beyond this world, like a picture of someone we love, which transports our minds to think of the person in the photo. On Good Friday the Cross will be solemnly unveiled for our veneration. Then at Easter all veils will be removed as the Resurrection of Our Lord gives us access to eternal, heavenly realities with unveiledeyes. We may consider again our own fasting and Lenten penances. As a minimum the Church instructs us to fast on Ash Wednesday and Good Friday and abstain from meat on Ash Wednesday and all Fridays of Lent. However, should we be satisfied with the minimum? Would a spouse be happy with the mere minimum of what a husband or wife must do? On the contrary, we rejoice when someone we love goes the extra mile! We as the Church are the Bride of Christ. 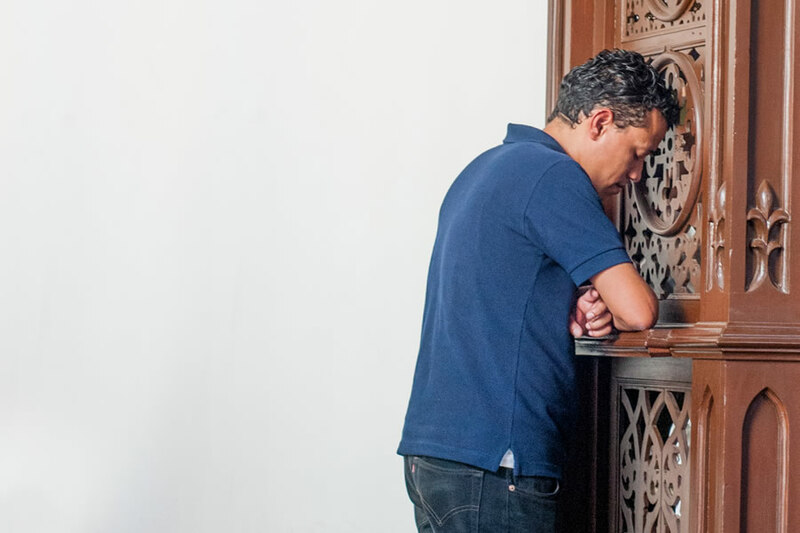 Fasting and penance are powerful forms of Christian prayer that help form and transform our wills to unite to Christ's own divine Will. And go to confession. There's no one so perfect that he or she doesn't have to go; or in the words of St. John, "If we say we have no sin, we deceive ourselves, and the truth is not in us" (1 John 1:8). One reminder: Please, please do not wait until Good Friday or Holy Saturday for Confession. The lines will be very long! Recall we have confessions every day.